Pizza is everyone’s favourite. On to that, any additional surprise with your favourite pizza is nothing less than cherry on the cake. Air delivered pizza would taste even better. We have this for you in New Zealand where a pizza chain aims to become the world’s first company to offer a commercial drone delivery service that is economic enough to save your valuable time as well as money. Also, sources say that the leading companies like Amazon, Google, Alphabet Inc are planning to enable air deliveries in countries like Britain, New Zealand, Australia, and United States. As a trial, last month a US convenience chain 7-Eleven Inc conducted the first single commercial drone delivery of donuts, coffee, and chicken sandwich. 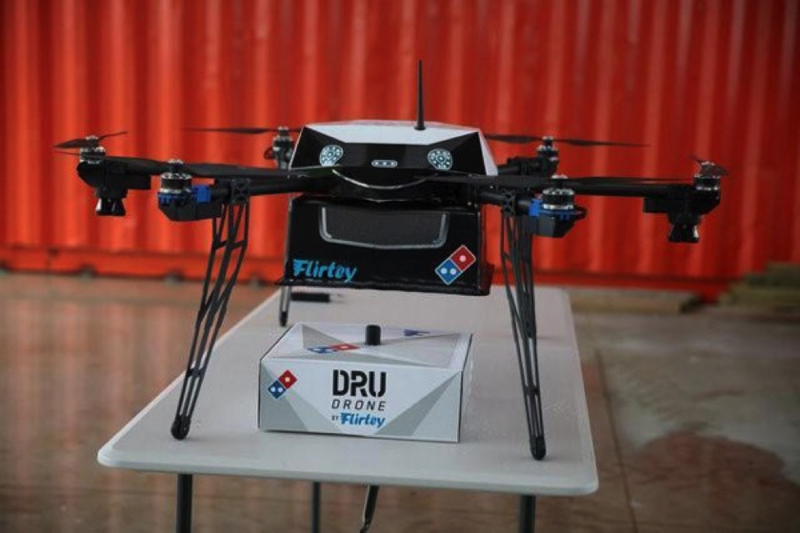 On Thursday, Dominos Pizza conducted a demonstration Pizza delivery by drone in the New Zealand city of Aukland and then declared that it aimed to be the first company to launch a regular drone service, later this year. “We have always said that it does not make sense to have a 2-tonne machine delivering a 2-kilogram order,” said Don Meij, Domino’s Chief Executive. Despite of such a wonderful idea, Domino’s service would need to overcome “random hazards like power lines, children playing in the backyard, or moving vehicles,” he said. 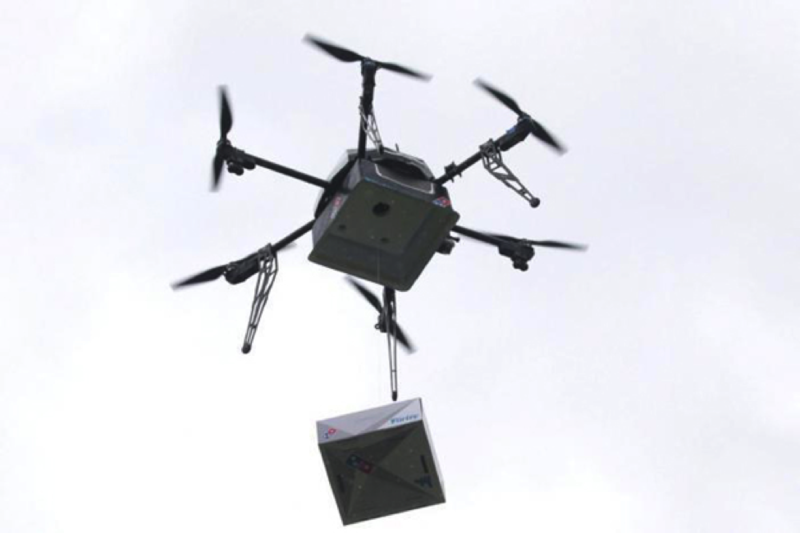 Dominos is also looking at opportunities for drone delivery trials in Australia, France, Germany, Netherlands, and Japan. In US, drones will be allowed to make deliveries from 29 August but not across state lines or over people.